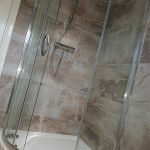 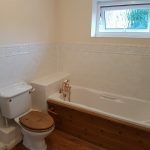 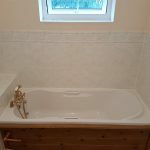 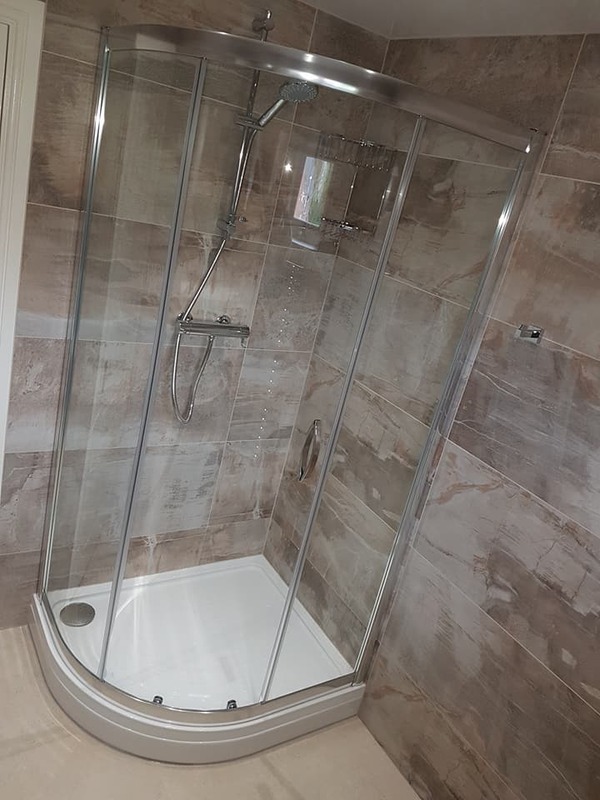 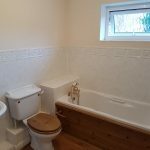 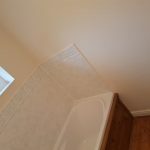 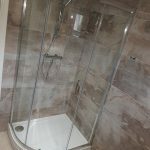 Our customers decided that they no longer needed a bath so they swapped it for a large off-set quadrant shower enclosure. 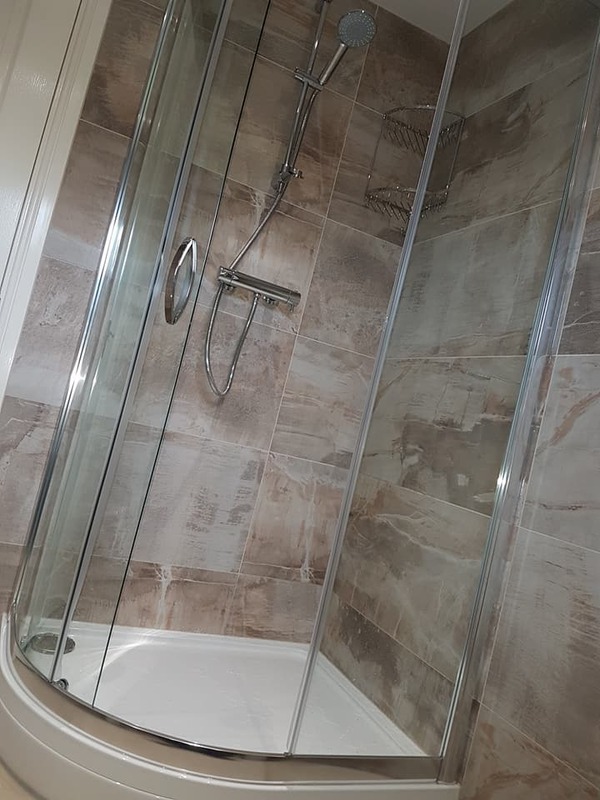 The chose a feature porcelain tile with a Yorkstone floor from Camaro. 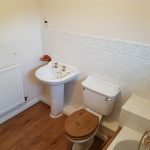 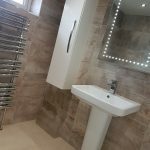 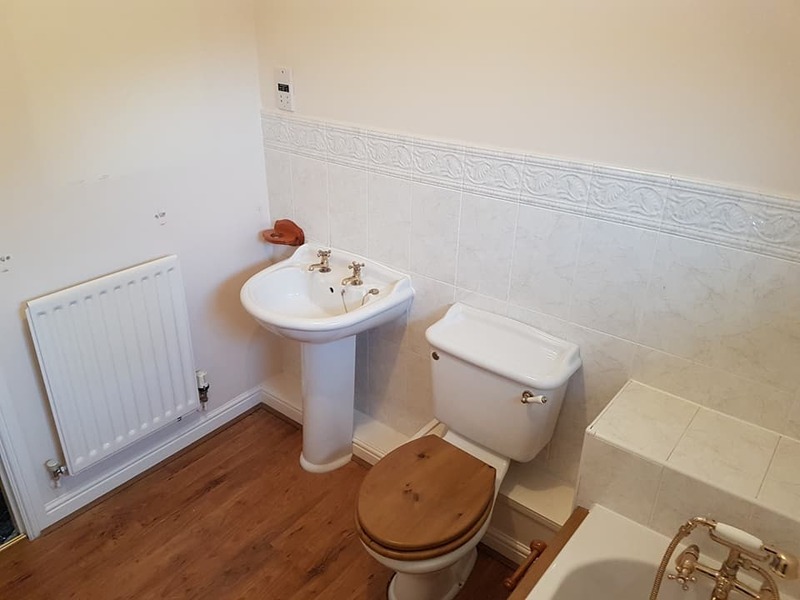 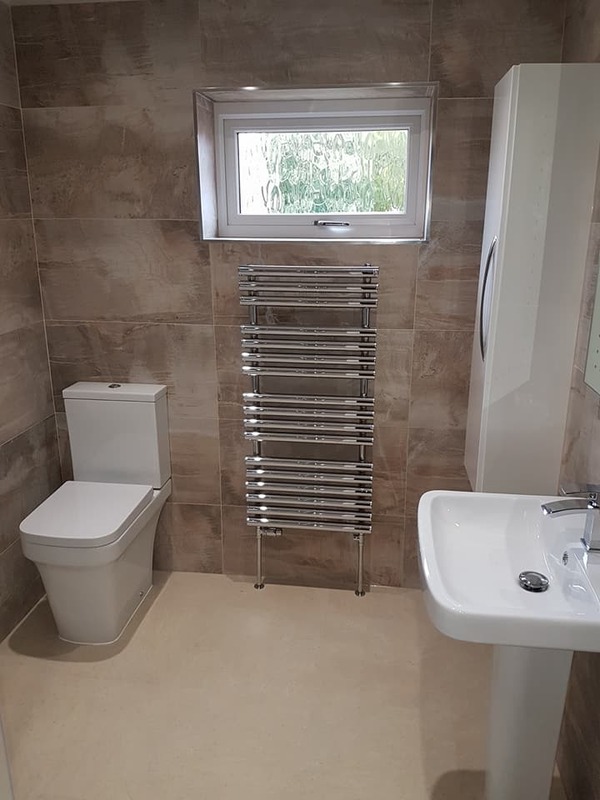 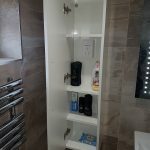 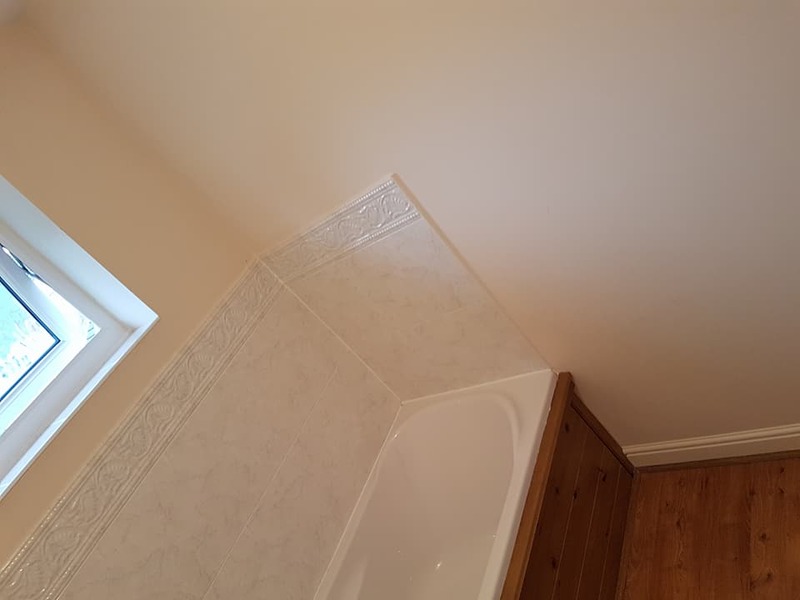 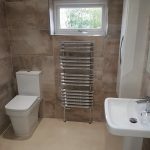 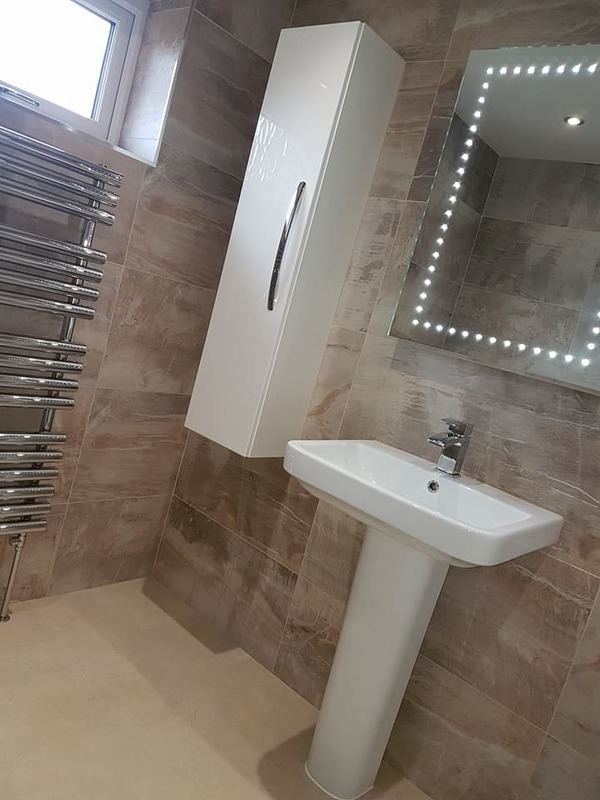 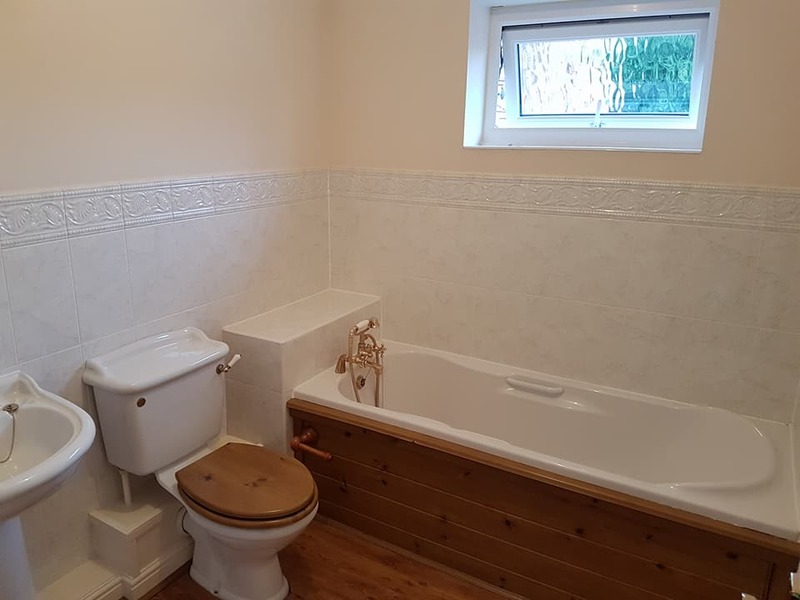 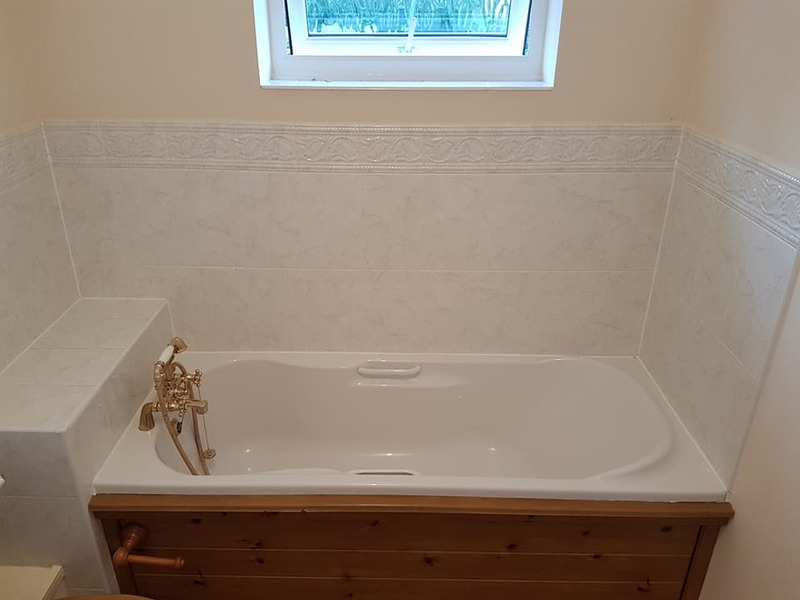 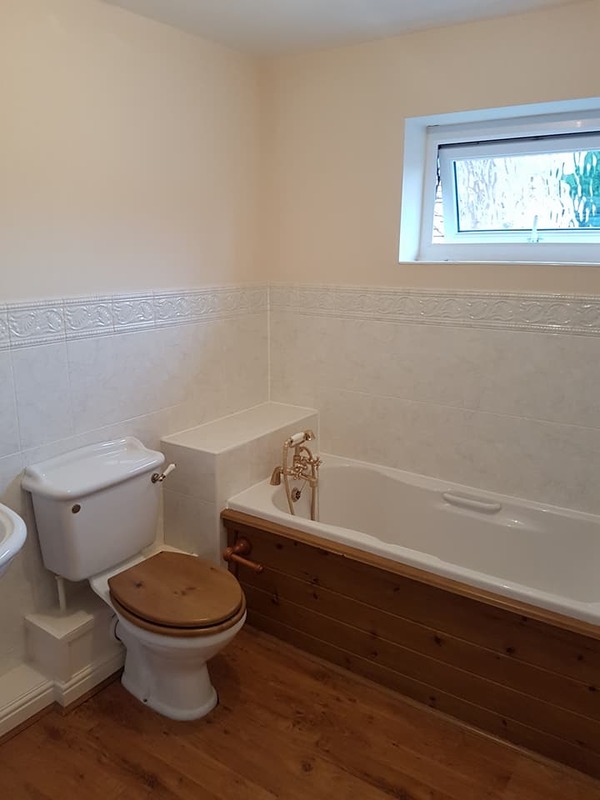 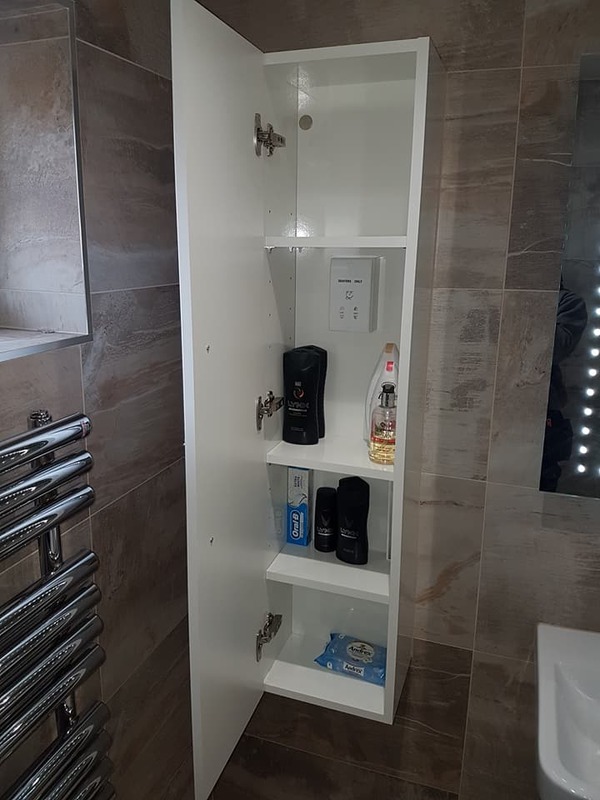 Fully re-piped, all new electrics, gloss white ceiling panels… Vado shower valve, brassware & accessories, tall wall hung unit with added shaver socket & Cirtowello tall heated towel rail.